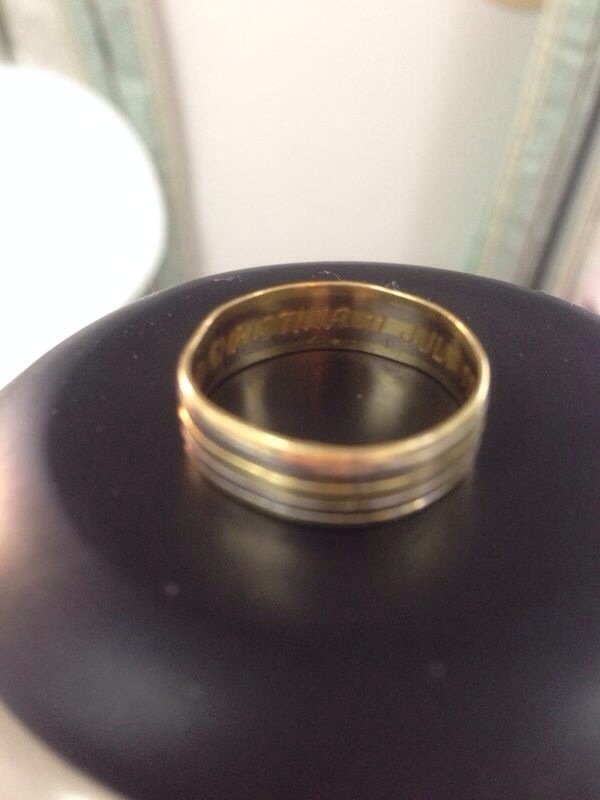 One day during the month of Oct in 2013 while I was in Kyoto , I realised that my wedding ring was gone. I was wearing it everyday and at no time did i remove it. Maybe, I dropped it cos recently I lost weight and the ring was kind of loose fitting. I remember I was at an onsen a few days ago so maybe I dropped it there. What are the chances of finding it , very little. Anyway , I went back to the onsen ( after 3 days ) and ask the receptionist if they found a wedding ring. The receptionist took out from the office a little plastic bag containing my wedding ring. So amazing ! Yesterday , he came to service the lift and he found it ! He came to our apartment to return us the ring. I must also give credit to the Japanese people. They are people of high moral integrity with great sense of responsibility . Both our wedding rings were lost and miraculously found. What is God telling us ? The first miracle in the Bible occurred in a wedding . The wedding banquet ran out of wine . Jesus turned water into wine – it was the best wine ! Both my wife and i experienced a miracle . I believe God will use us to help, build lives and strengthen marriages in Japan. He is the Lord of the rings ! God is good…and His Love endures forever ! HE will never forsake His own, who remain faithful. Yes, Caleb & Chris, our loving Heavenly Father is watching over you . Lucy and I chuckle over your “interesting” accounts of the “lost rings”. Do we really “agonise ” over the loss of material things ? Not really….as the time of waiting, taught us to “wait & see” HIS mighty Hand to work and restore. Praise the Lord ! Indeed, God is Lord of your rings. Amen. Hi Ps Caleb, thank you for sharing your story..